Use the chart below to estimate fuel efficiency. The default values are for distance 200 km, volume 200 liter and consumption 10 liter/100 km. 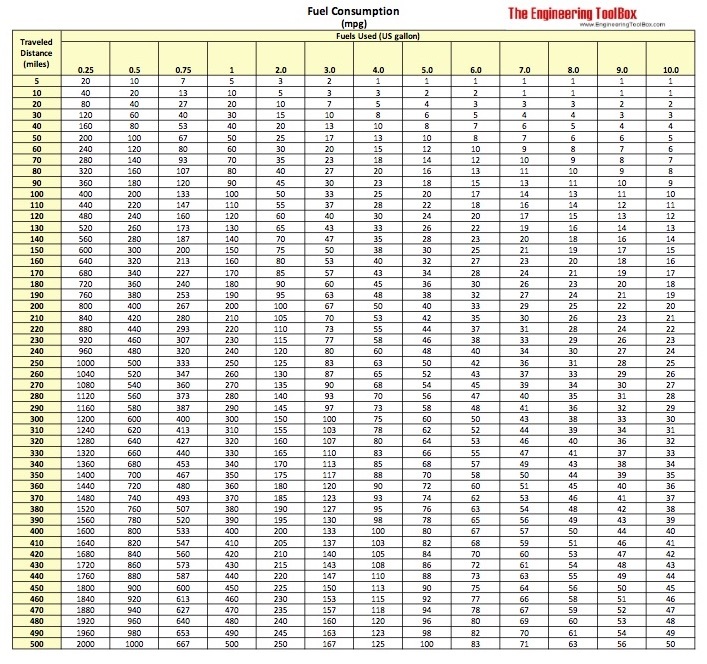 Download and print scalable Fuel Consumption Chart! Engineering ToolBox, (2009). 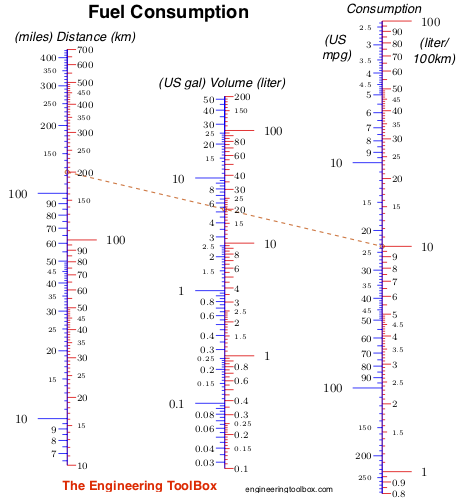 Fuel Consumption - Calculate mpg. 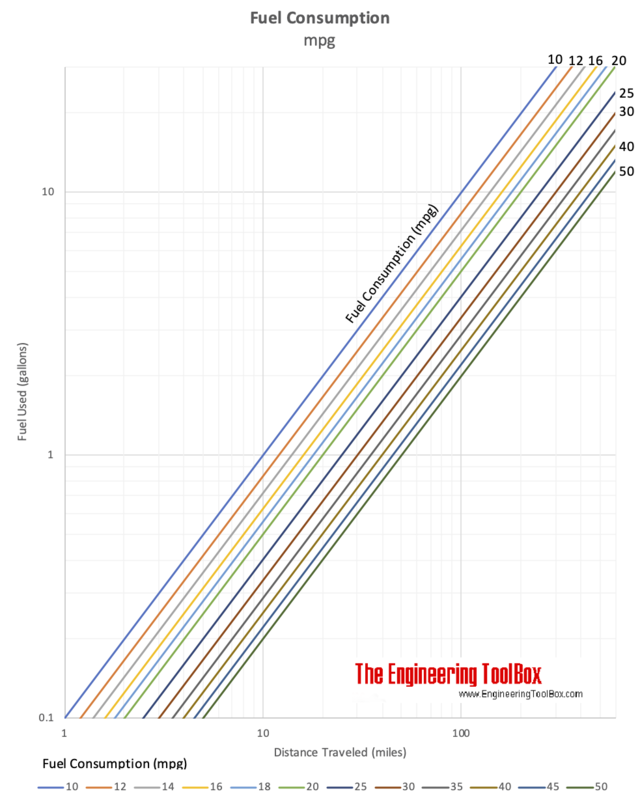 [online] Available at: https://www.engineeringtoolbox.com/miles-per-gallon-d_1539.html [Accessed Day Mo. Year].